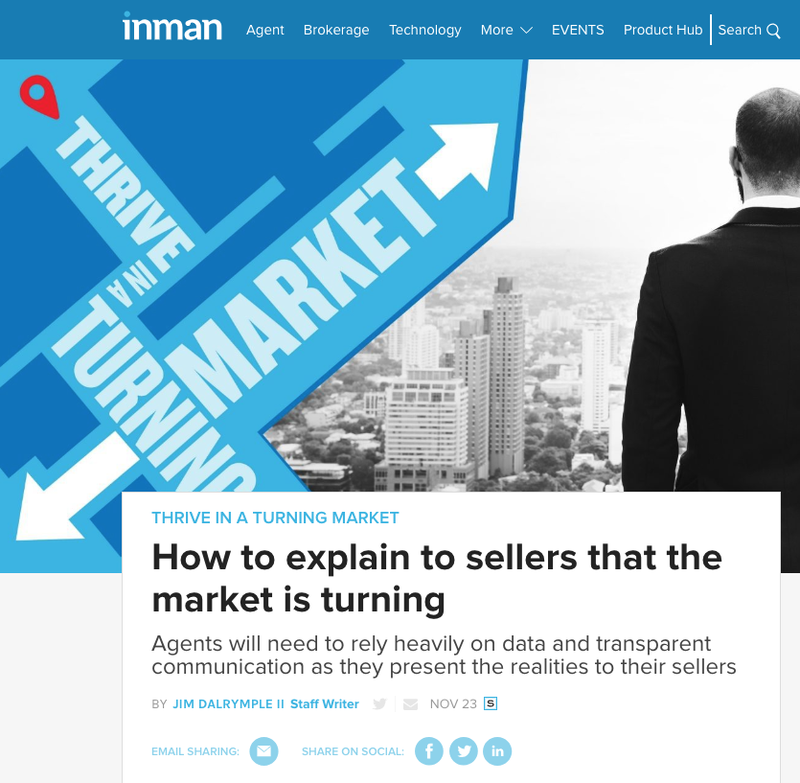 Matt was interviewed by Inman News (the largest North American real estate industry news channel) about communicating with sellers in a changing market. You can view the entire article here. Richling confirmed that conversations about a softer market and tempered expectations are becoming common in his area. Sellers get their information from the news or from what their friends and neighbors experienced and often “feel like they naturally have a pulse of what’s going on,” Richling explained. But in reality, they might be working with information that is long out of date. This past week, I was invited to speak at one of the largest RE/MAX events in North America, Kickstart 2014. I was alongside Jacqueline Pennington from Coburg Ontario, Evan Christensen from Toronto, Saara Sallinen from Parry Sound and Valerie Garcia from RE/MAX HQ. We spoke about working with younger consumers in our areas. These are great events for networking with agents across North America, which help develop relationships for our clients. If you are moving, you can rely on getting a hardworking agent wherever your new home will be. Group of agents from across North America. RE/MAX Metro City Realty LTD. I am a 25 year old, Toronto born, Ottawa raised real estate agent with over four years successfully selling local Ottawa condos and homes. How are you different from any other agent? Getting into the business at such a young age, gave me the chance to really question the methods used by other agents. You won’t see me advertise in the local newspaper, or have my face on a bus bench or trash bin. I am heavily involved in technology and social media; one of the first Ottawa agents to blog and first on twitter. Earlier this year, RE/MAX recognized me on an international level as a leader in internet marketing. I get to work and meet with amazing people and sell some of Ottawa’s hottest condos and homes. It brings me into penthouses with amazing views overlooking the city which most people don’t get the chance to see. The job is also fairly flexible, which allows me to live a somewhat normal life even with the long hours. Any downsides to the job? I am always working, talking, and breathing Ottawa real estate. For me it’s a passion, but for those around me it can get a little much. I’m fairly active, usually in the pool or running along the canal. I am always shopping for furniture or clothes; I find it really hard to walk past Phillip Van Leeuwen without walking in and taking a peak. It is a modern two bedroom corner loft, with concrete ceilings and floor to ceiling windows. Currently under construction, it is getting a full face lift, and will be on the market in early spring. I use the second bedroom as my office, and keep it in pretty good shape since I have clients over quite often. We heard you bought it without seeing it? Explain. Haha yes, there were no pictures either and the offer had no conditions (typically you have financing and status certificate). My lawyer yelled at me for doing that, it was a big risk, but it paid off huge. What is the craziest thing you have seen when showing a home? I was with a client and we were running about 5 min early to a showing. I got the key and opened the door, which opened directly to the kitchen. The owners turned out to be running late and were fully buck naked on the kitchen counter – going at it. They screamed, jumped, and accidentally sent a glass of red wine flying across the room right at my client. It was pretty awkward for everybody! It still makes me laugh. What is the first thing people should do if interested in buying? Call, email, or Facebook me! It’s a pretty daunting task for a first time buyer, especially your first purchase. My services are free to help you buy, so I can help teach you the process and be with you throughout the purchase. As of today there are 914 condos for sale in Ottawa, it’s my job to find you that ONE perfect home and ensure you will be excited every day when you step inside. Homes are not just a place to live, they are also a great investment, so helping you understand a bad purchase from a good one can save you thousands when you go to sell. I play underwater hockey, it’s more fun and demanding than doing straight laps. If you weren’t selling real estate, what would you be doing? Touring Italy in a Porsche.